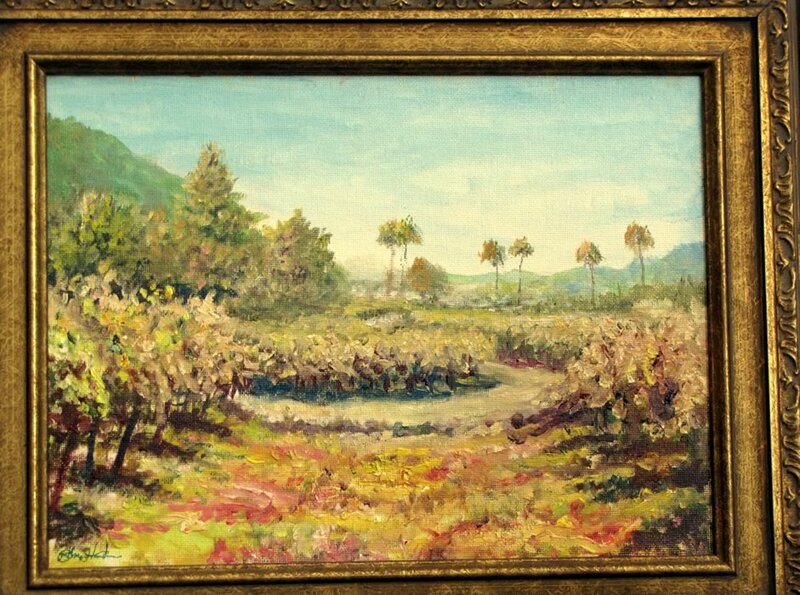 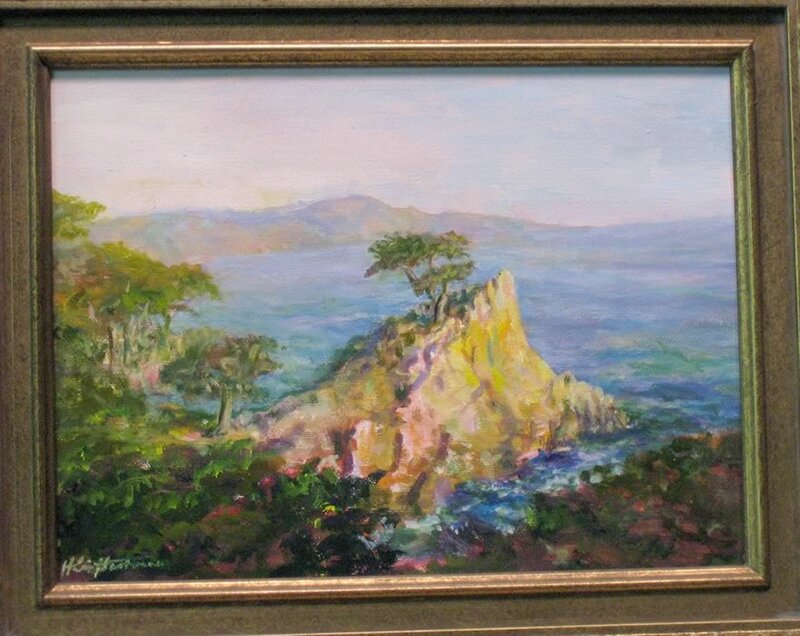 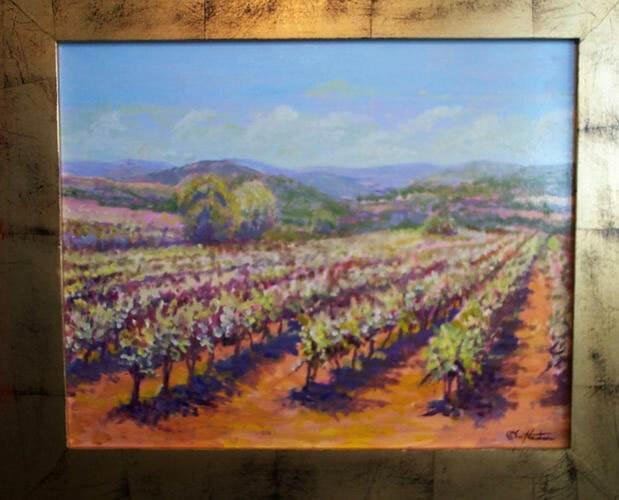 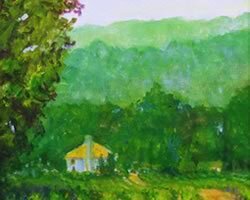 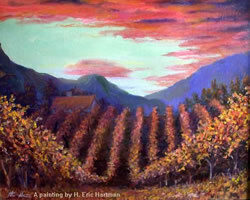 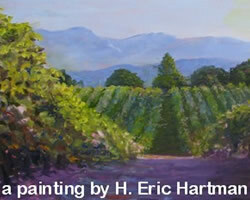 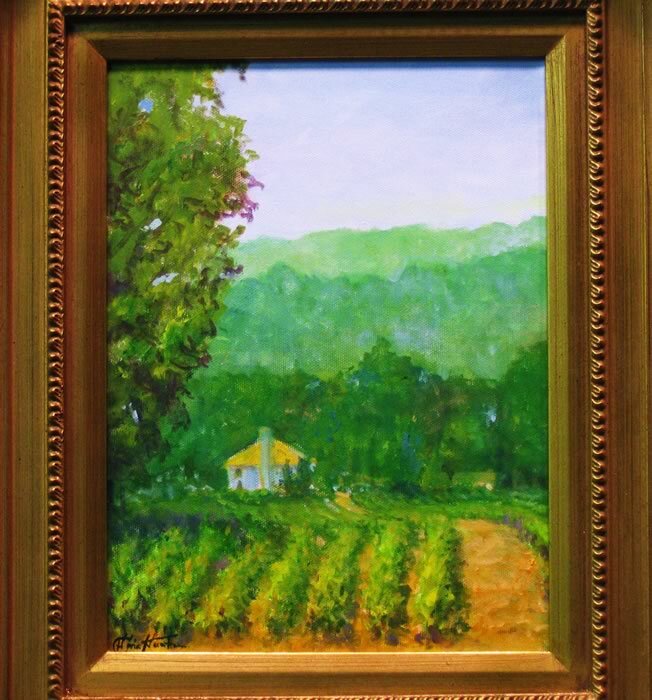 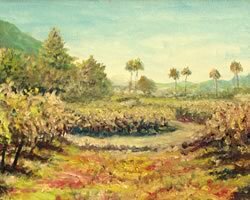 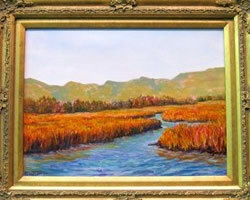 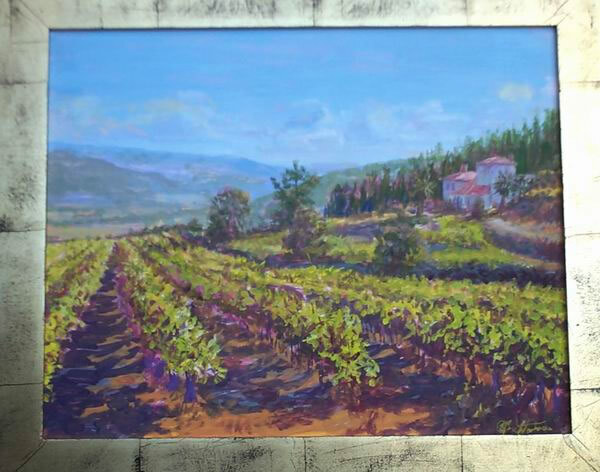 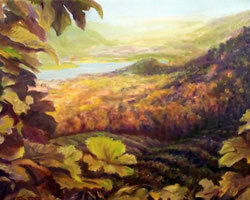 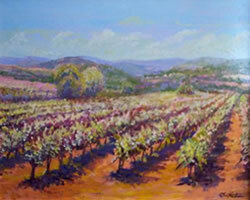 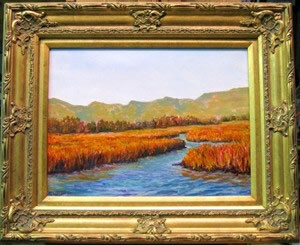 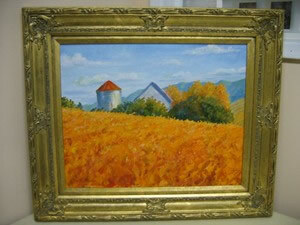 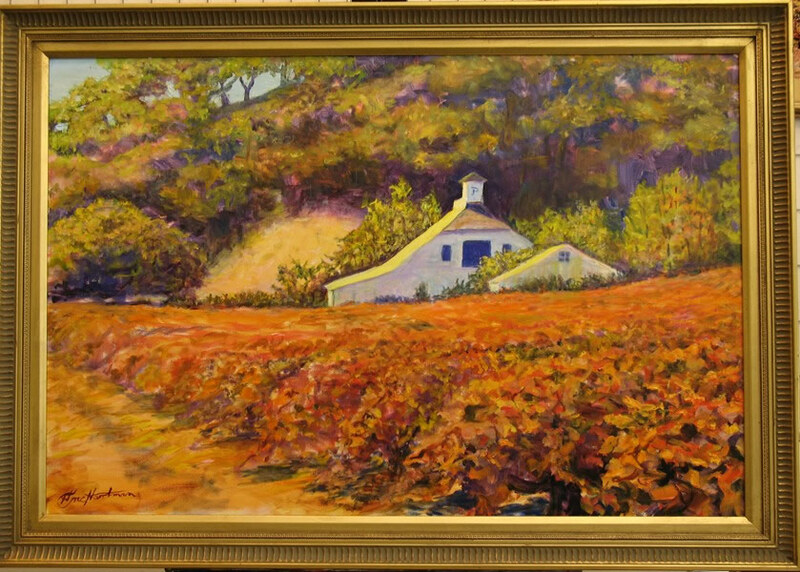 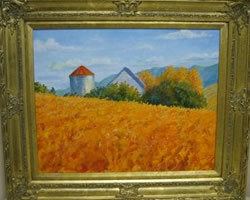 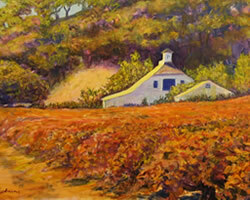 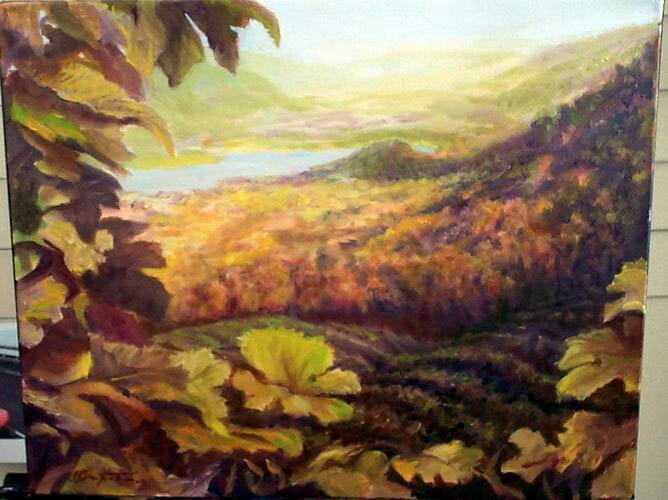 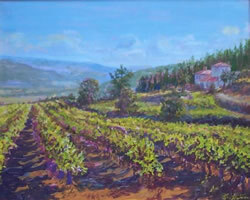 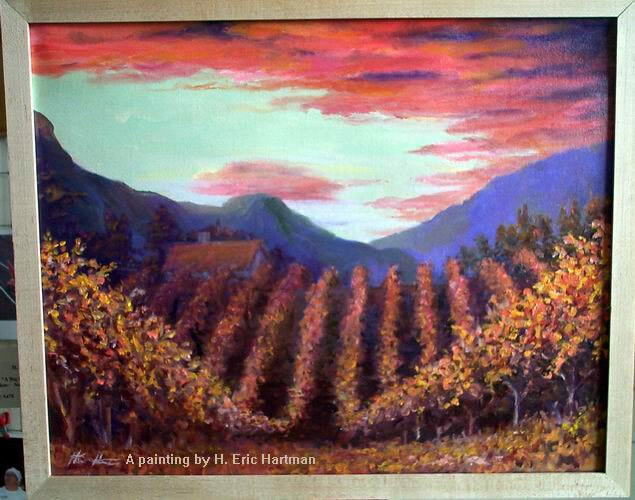 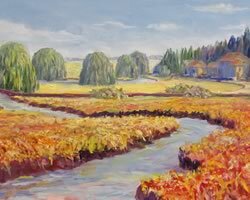 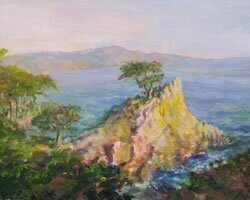 My love for wine and the beauty of the vineyards led me to create the following paintings. 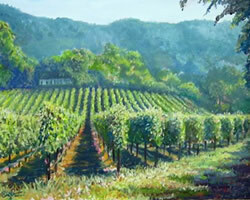 I’ve been fortunate to have traveled throughout the wine country of California and France. I have made great friends out there and hold their friendship and my memories of those trips closed to my heart. 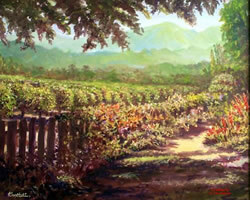 The glowing sun and the blowing winds on the vines create a beautiful dance of shadows. 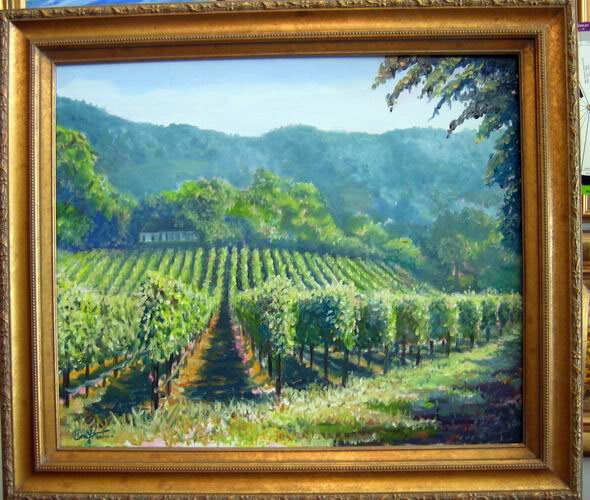 Just as I enjoy a glass of a big full bodied red, I realized that I needed to meet that size by painting these vineyards on a larger size painting.